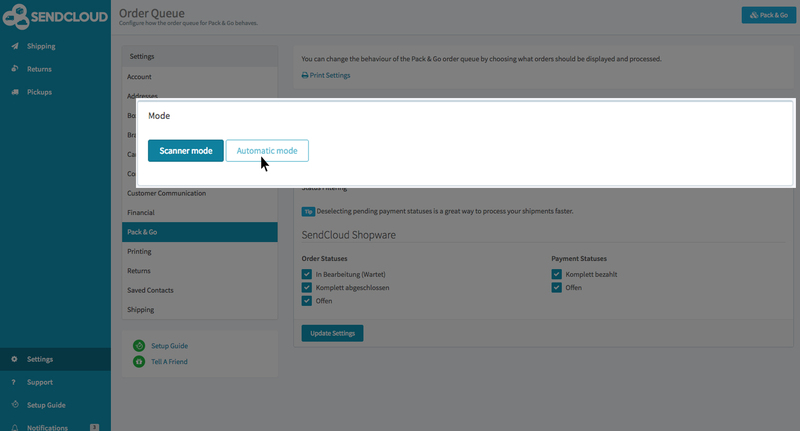 Pack & Go is one of the features of SendCloud plus and designed in order to process orders 7x faster. Pack & Go allows you to process orders one-by-one and automatically print packing slips and the belonging shipping labels. This quick guide shows you how to process your orders via the order queue. Pack & Go offers the possibility to process orders with or without a scanner. To set-up processing without a scanner, visit "Settings" > "Pack & Go". Next, select the "Automatic mode". 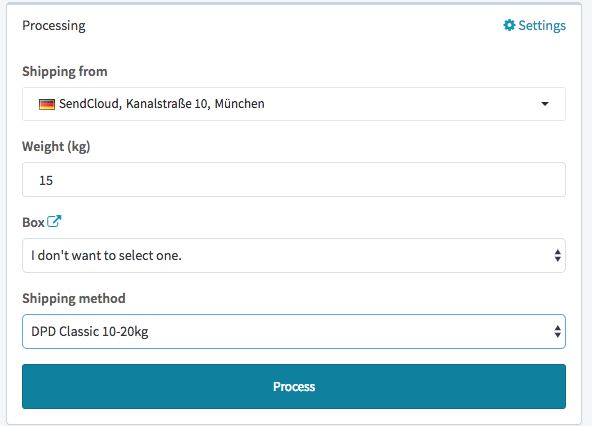 Within the "Pack & Go settings" you can also filter out what type of orders you want to show in your SendCloud environment. 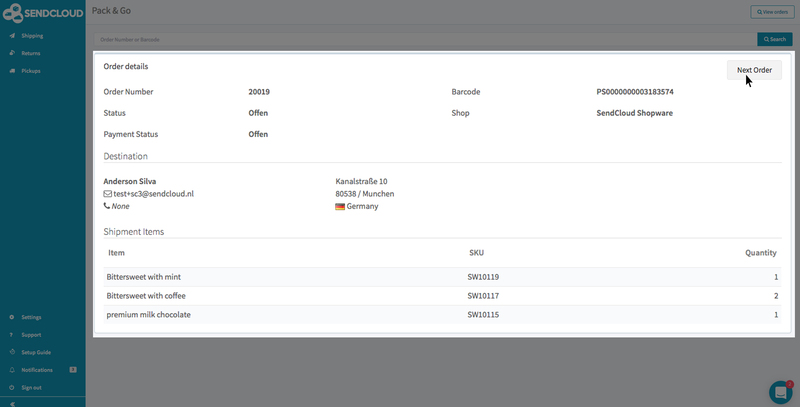 For instance, show solely orders with the status "payed". In order to save even more time in processing orders, you need to install a small print app on your computer. Do not worry, this will only take a few seconds of your time. Click on the "Pack & Go" button, here you can download the "SendCloud App". Once downloaded, open the app on your computer and make sure it runs. Click on "Pack & Go" again and your incoming orders including details will one-by-one appear in your screen. In the menu on the right side of your order, you can adjust the shipping address and/or the shipping method and weight. If you want to you can choose a box size, in order to filter out shipping methods. By clicking "process" your order will be processed and your shipping label (and if you want to) packing slips will be generated. A new order will already appear in your screen. You can start packing up your shipments now! If you want to, you can also skip an order, by clicking on "next order". Save even more time, by setting-up Smart Shipping Rules. If you have set-up Smart Shipping Rules, you do not need to select shipping methods manually anymore. The rules make sure your preferred shipping method for every order is automatically chosen.